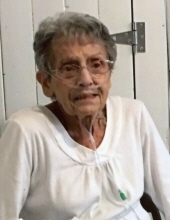 Mrs. Barbara Anne Ferry Corll, 84, of Erwin died Wednesday, September 5, 2018 surrounded by her family at Cornerstone Nursing and Rehab in Dunn. Barbara was born September 15, 1933 in Forestville, New York daughter of the late Stanley William Ferry and Mary Vivian Howell Ferry. She was preceded in death by sister, Joann Marie Ferry. The family will receive friends 6-8 p.m. Friday, September 7, 2018 at Skinner & Smith Funeral Home. A private graveside will be held at Erwin Memorial Park. Barbara is survived by her husband, Donald M. Corll; daughter, Tami Lackey and husband Ronald of Lillington; step-son, Donald Corll, Jr. and wife April and family of Dunkirk, New York; grandchildren, Melissa Parrilla and husband Nicholas of Coats, Amanda Massey and husband Jason of Angier, Ronnie and Brittnie Lackey of Lillington, Savannah Lackey of Wilmington; great grandchildren, Alexander and Sophia Parrilla of Coats, Shyann and Harper Lackey of Lillington; sister, Virginia Raun and husband David of Westerville, Ohio; brother, Norman Lee Ferry and wife Carole of Sheridan, New York and several extended family members in New York. To send flowers or a remembrance gift to the family of Barbara Anne Ferry Corll, please visit our Tribute Store. "Email Address" would like to share the life celebration of Barbara Anne Ferry Corll. Click on the "link" to go to share a favorite memory or leave a condolence message for the family.